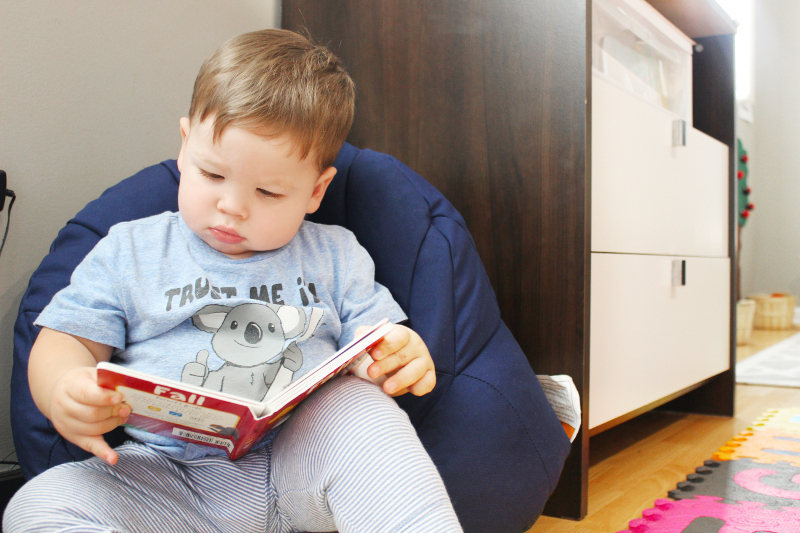 Our toddler room provides a rich environment for children between the ages of fifteen months and twenty-four months. Toddlers are extremely curious and active learners, which our caregivers acknowledge and provide an adventurous environment for this age group. The playroom is specifically arranged to promote full exploration, language growth, and social skills. Caregivers act as aids to guide free-play time while the child learns to interact with peers, they assist in modeling language skills and helping children express themselves, as well as, they provide a challenge to keep children engaged in activities throughout the day. Our caregivers and aids foster all development by enriching their environment with activities and materials needed to explore, learn, and grow in an appropriate developmental way for each owlet.